With sponsored content filling up newsfeeds and reports of fake news on the rise, consumer trust is more important than ever. The average consumer has an abundance of brands to choose from and a wealth of information at their fingertips ­­– and they’re looking at more than just your product offerings. Today’s consumers take pride in making informed decisions about their purchases, and brand authenticity plays a big role in their choices. In a 2013 study conducted by the Boston Consulting Group, customers identified authenticity as one of the top qualities that would attract them to a brand, and for millennials, brand authenticity was second only to loyalty discounts in importance when choosing companies to support. At its heart, authenticity is about practicing what you preach; being totally clear about who you are and what you do best. 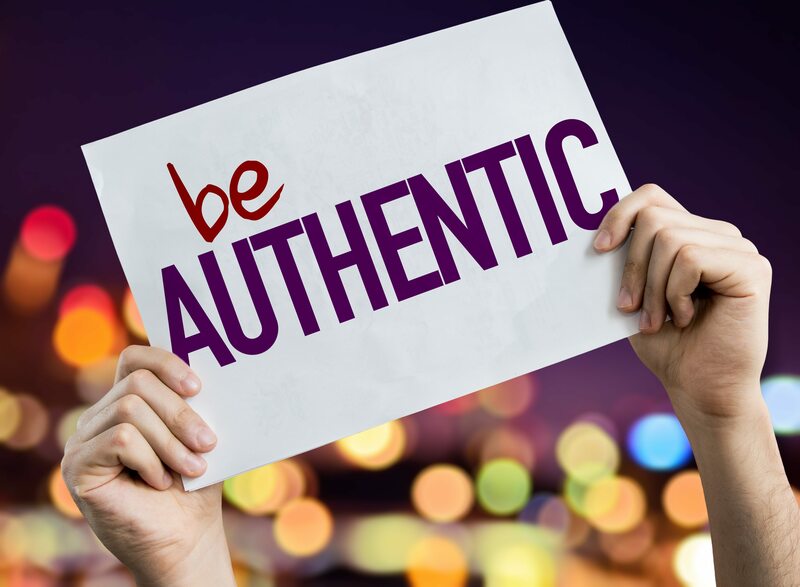 An authentic brand has transparent values that are the driving force behind all communications, as well as the company’s actions. In one ad for a wetsuit, they demonstrate their commitment to sustainability by making their innovative new method of synthesizing bio rubber available for other companies to utilize. Any profits they might lose in sharing the bio rubber are an investment in brand loyalty. They know that their customers aren’t interested in supporting a company that keeps groundbreaking new sustainable practices to themselves. Cause marketing drives sales. According to a Cone Cause Evolution Survey, 87 percent of consumers have said they would switch from one brand to another if the other brand were associated with a good cause. Patagonia doesn’t do much direct selling in their ads, on social media, or in their videos on the website. Instead, they’ve crafted a compelling brand story that inspires their customers to co-create (via worn-wear stories) and own a piece of the brand story. When it comes to brand stories, fan support makes all the difference. Great brands are created through consumer passion or word-of-mouth. Companies like Patagonia understand how each action, across every channel, adds to the story and creates an opportunity to produce brand advocates. By spreading an authentic message and giving customers a voice, they also give them a means to advocate on their behalf and influence others.